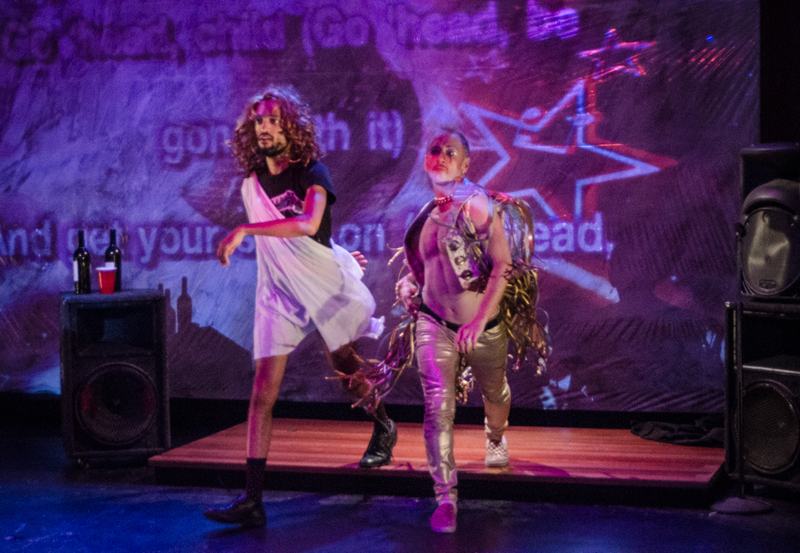 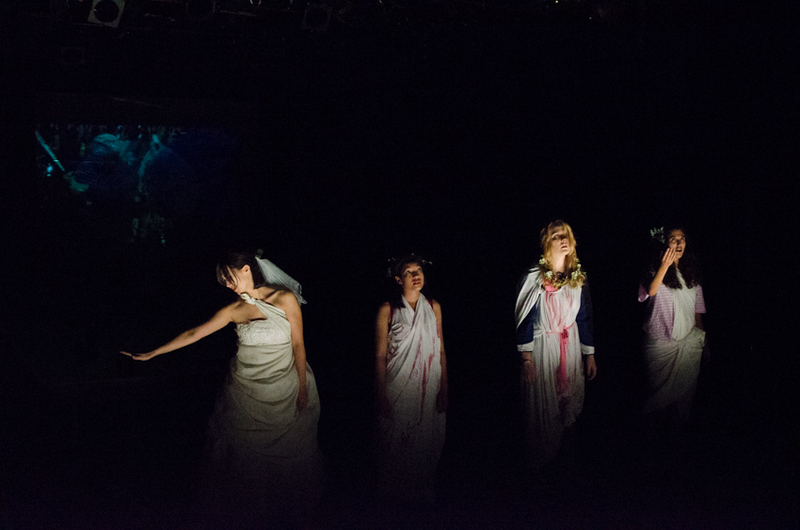 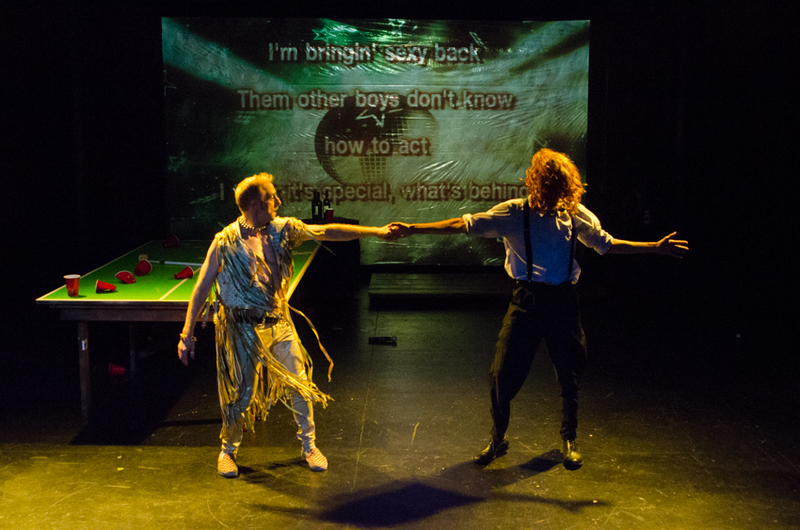 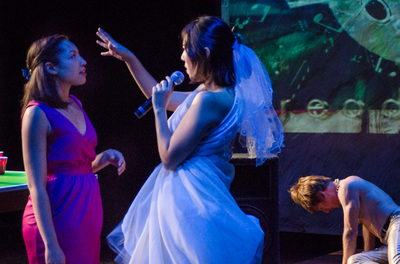 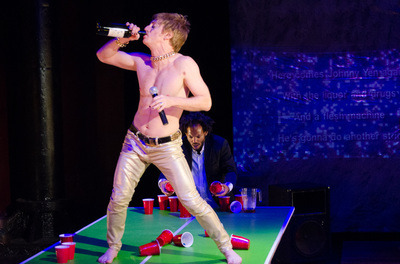 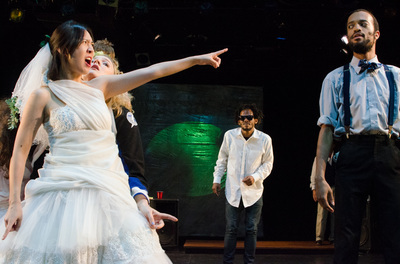 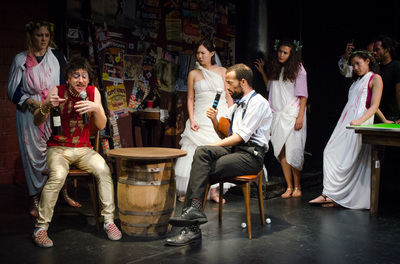 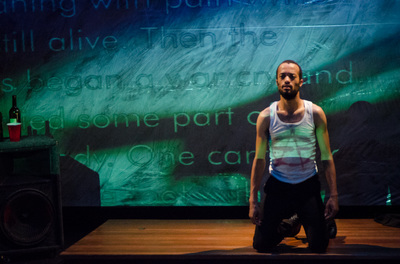 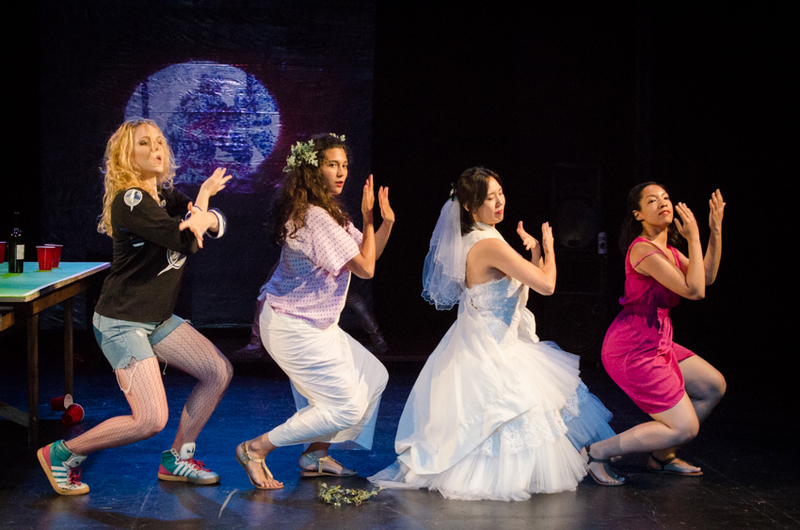 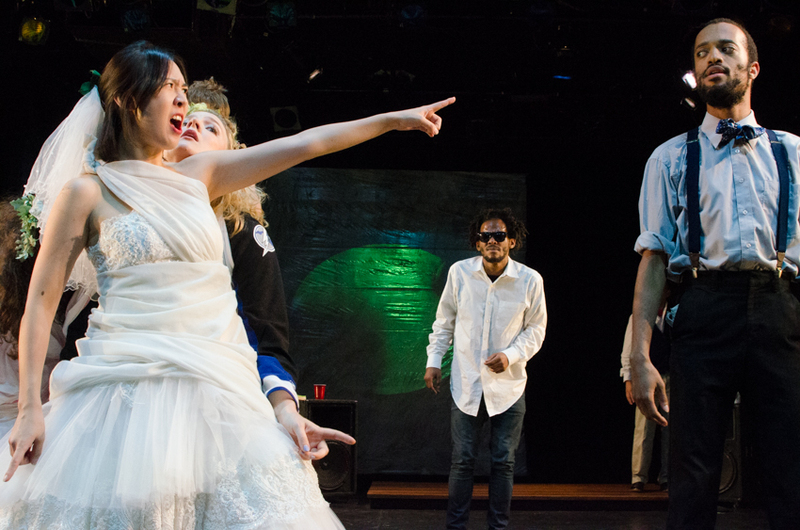 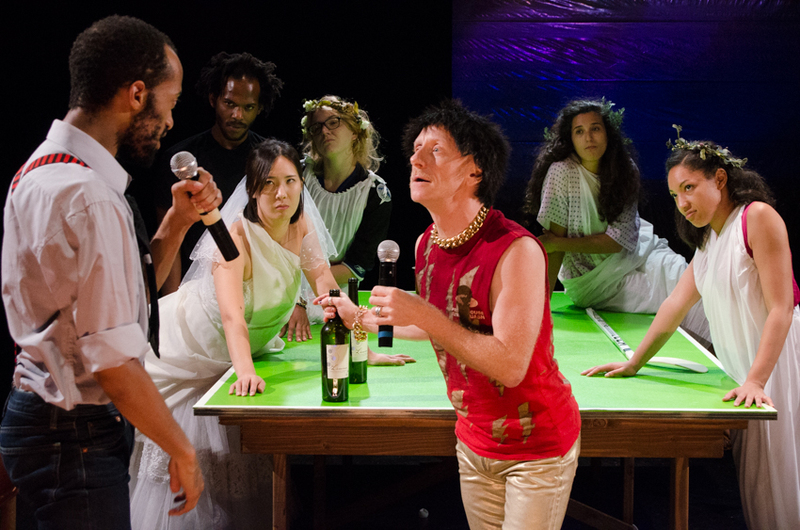 Karaoke Bacchae is a Dance Theater Adaptation of the Bacchae, set in a sports bar on Karaoke night during the Stanley Cup. 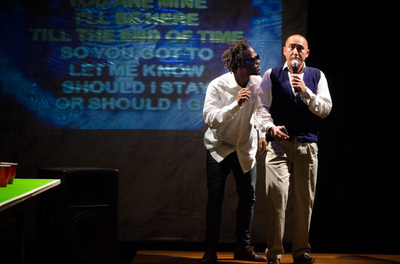 Karaoke night is cancelled to watch the game. 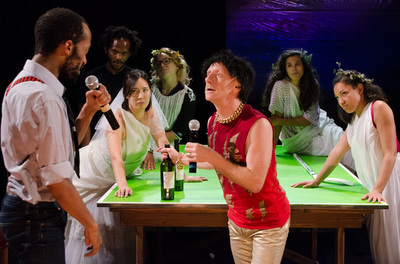 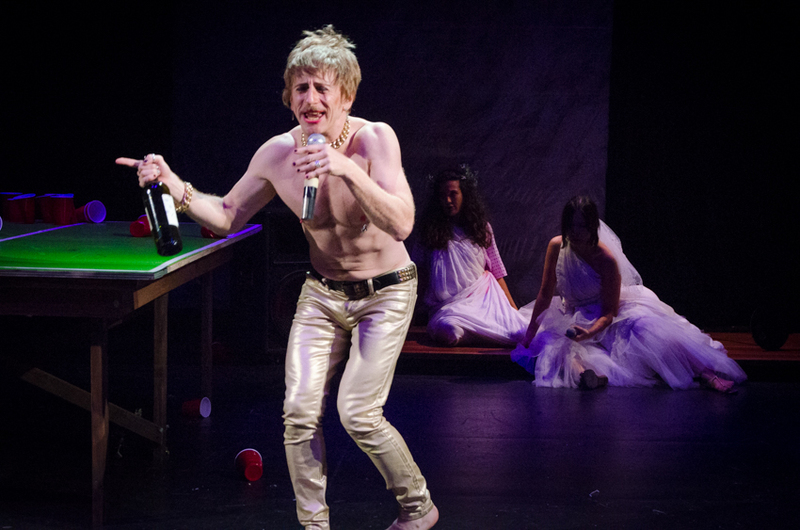 Dionysus takes the human form of Iggy Pop and leads an gang of drunken sorority girls in a battle against the bar's management to take back karaoke night.